StoreVan outfits are the result of listening to our customers: increased productivity, increased profitability and the highest levels of safety lie at the foundation of every design. Skill and experience have made us professionals of work on the move! 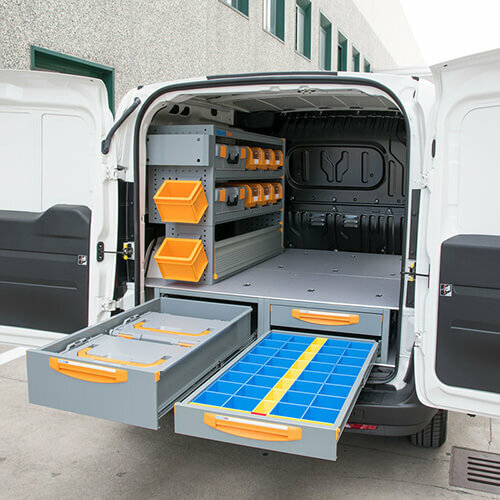 Whether you are an electrician that requires a shelving rack for small parts, or a plumber that always needs to carry pipes and heavy equipment with you, or an express courier that has to transport goods safely, StoreVan has the perfect solution for you, for any kind of work van. Discover our three different outfit systems! 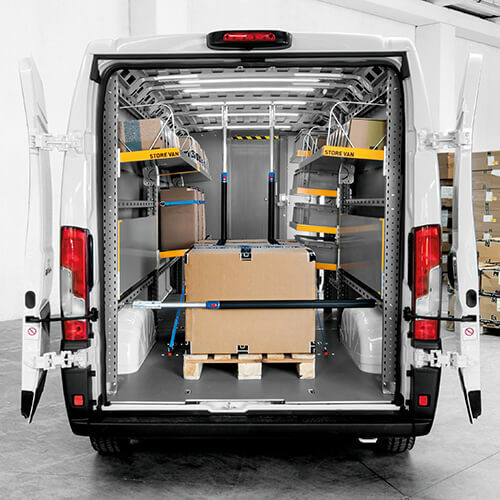 Discover the Safety, Professional and Mobile solutions: three levels of internal outfitting with shelves, drawer units, benches and everything you might need to transform your van into a mobile workshop! 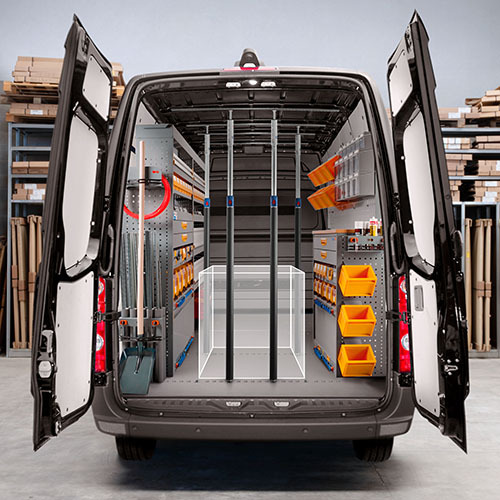 Ideal for small and medium-sized vans – allows you to optimise space and transport everything you need safely! A perfect solution for express couriers, travelling salesmen and vending machine and catering companies. The foldable shelves allow you to transport long and bulky items.